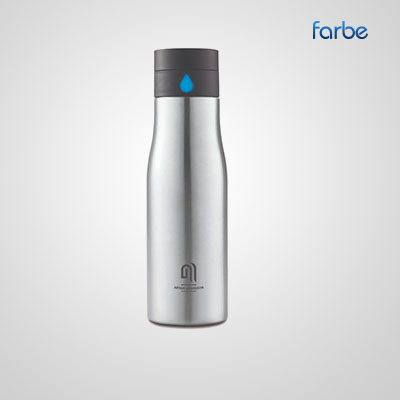 Hydration Tracking Bottle – Track your daily hydration goals with this smart designed stainless steel 650ml. water bottle. 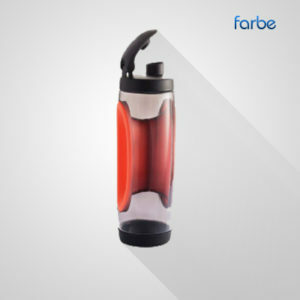 The lid displays a bigger water drop each time you refill and twist the collar so you can easily keep count of the number of bottles you drink. Handwash only and leakproof. Ready, set, go! 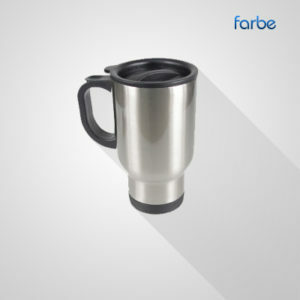 Give your branding a boost with promotional sports bottles from Farbe Middle East. 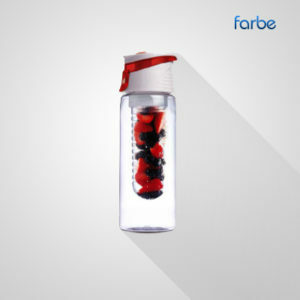 We have a huge range of branded water bottles than can be printed with your logo, so when your next customer hits the gym your business is right in front of them. 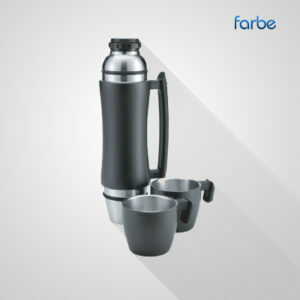 Our wide selection of promotional water bottles are durable, lightweight and long-lasting, so when you give away branded sports bottles as a corporate gift, your customers receive a high-quality promotional product.